From the Cottage Grove Sentinel. 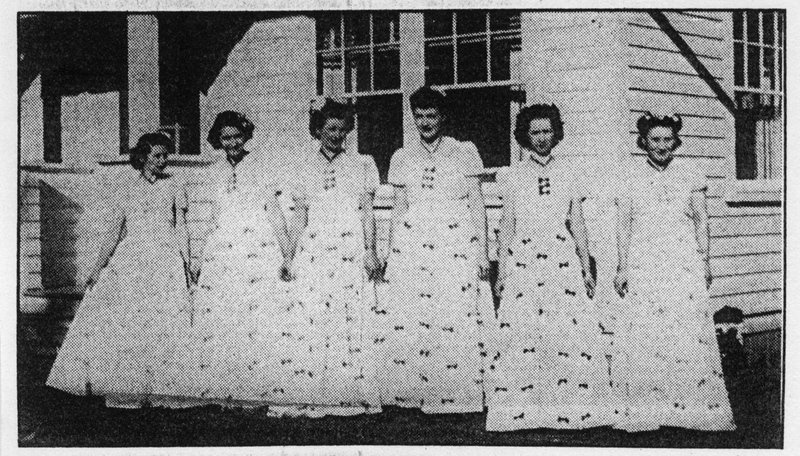 A group of Row River ladies got all dolled up in matching gowns for an elegant entertainment at the Community Hall. This photo dates back to the late 1940’s. One of the women pictured is Ruth Cartwright, who was a resident since 1945. Anyone know any of the others?